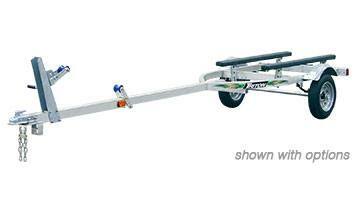 Transport flat bottom and V-hull boats up to 14’ securely with Triton single-axle aluminum Jon Boat trailer. Adjustable bunks accommodate a range of boats and the winch stand allows for easy loading. Triton Jon Boat trailer is packed with features for years of enjoyment and worry-free use.